I have to say that this was a lot of work to end up with 2 (16-ounce) jars of ketchup. I texted a picture of the completed product to a couple friends and one friend replied “Oohh, save me one!” To which I replied “No way, I’m going to trade it for a kidney or sell it on eBay for $1,000!” However, the result is delicious and given that’s it’s a condiment, it should be used sparingly and will likely last a few months. I just so happened to be making cheese the same day I made ketchup. I’ll admit I derived an inordinate amount of satisfaction from using the reserved whey from my cheese-making to use in this recipe and kickstart the fermentation process that yields the healthy probiotics. If any of you tries this recipe with sauerkraut juice, please comment and let us know how it turns out. 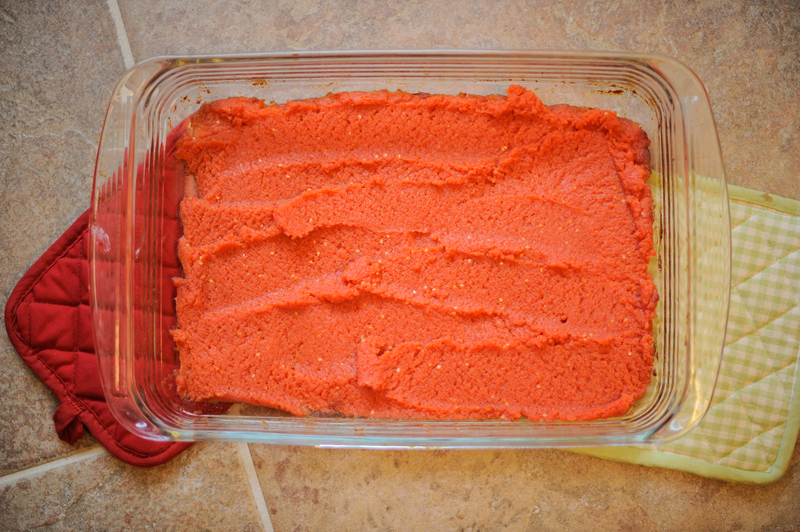 I began by making my own Tomato Paste (recipe link above, in Ingredients) which, when produced commercially is notoriously bad for you and filled with all sorts of nasty chemicals. 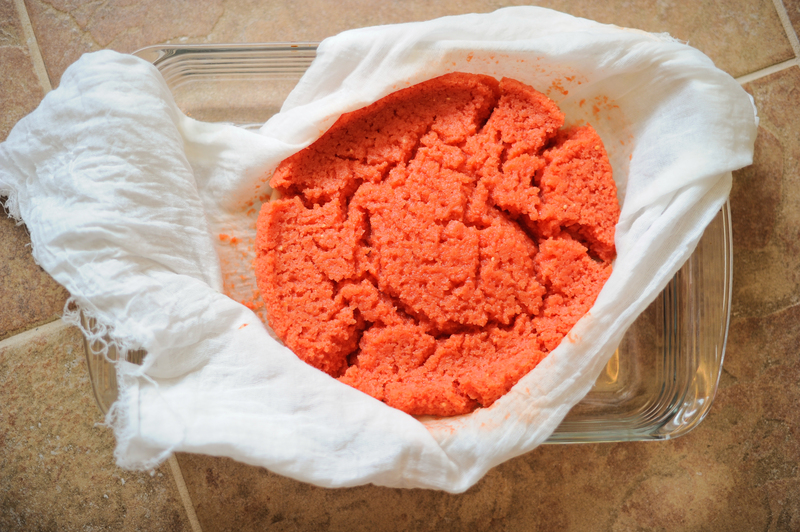 After straining out the pulp overnight, you then roast the paste in the oven on low heat (200ºF) for a few hours to intensify the flavor and remove some of the moisture. 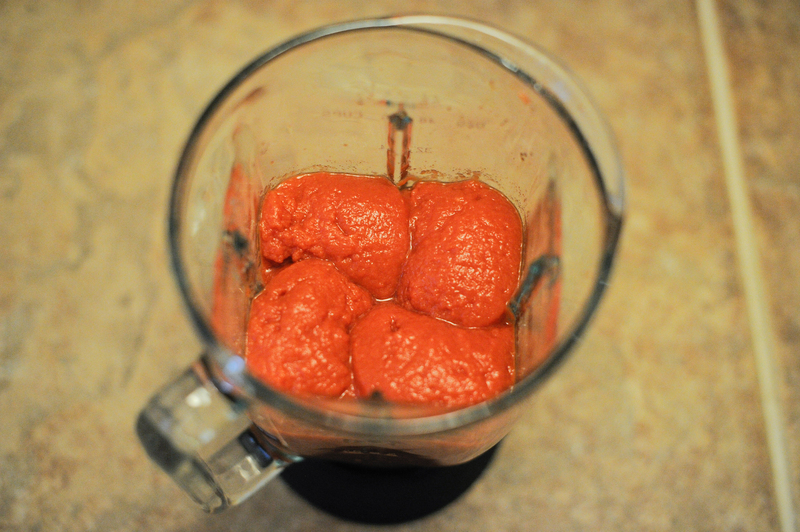 If you are going to use tomato paste from a can, skip ahead to putting all the ingredients in a blender. Once roasted and cooled, add the paste and remaining ingredients to a blender. You can see in the photo that I opted for brown sugar (dark spot) because that’s what I had on hand. 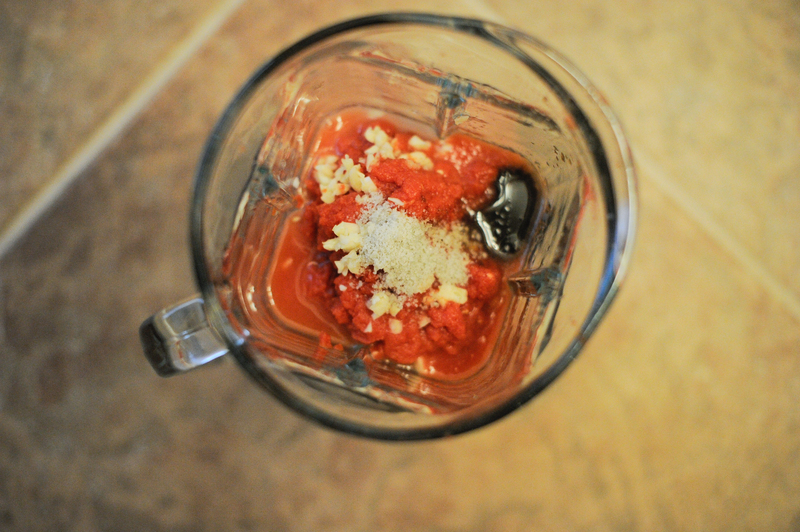 Once blended for a few minutes, the ketchup is smooth and delicious. However, you’ll note that the color is much more vibrant that what you buy commercially. Fill mason jars to within 1 inch of the top, rapping the jar on a hard surface to let any air bubbles escape. 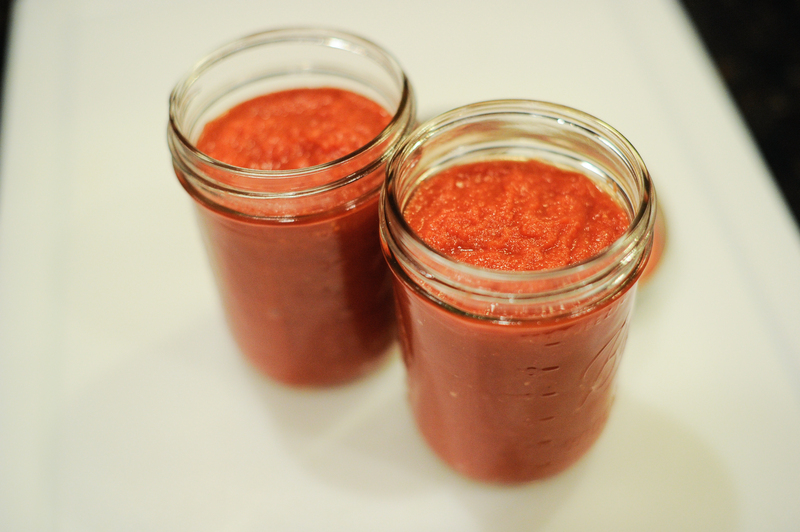 Whatever size jars you have are fine, but this recipe will yield about 32 ounces of ketchup. Seal jars, wiping down that inside inch and leave out at room temperature for 72 hours (to ferment and create those healthy probiotics), then transfer to the refrigerator. Tags: agave, brown sugar, cheese, chemical free, fermentation, fermented, gifts, healthy bacteria, homemade tomato paste, honey, ketchup, mason jars, probiotics, raw agave, raw honey, sauerkraut, sauerkraut juice, tomato paste, tomato sauce, tomato spread, tomatoes, whey. Bookmark the permalink.